List of Engineering Colleges In Saharanpur: Uttar Pradesh State Entrance Examination Board conduct entrance examinations for various courses like B.tech, B.Arch, MBA, and MCA etc. Offline examinations will be conducted on 21st April 2019. 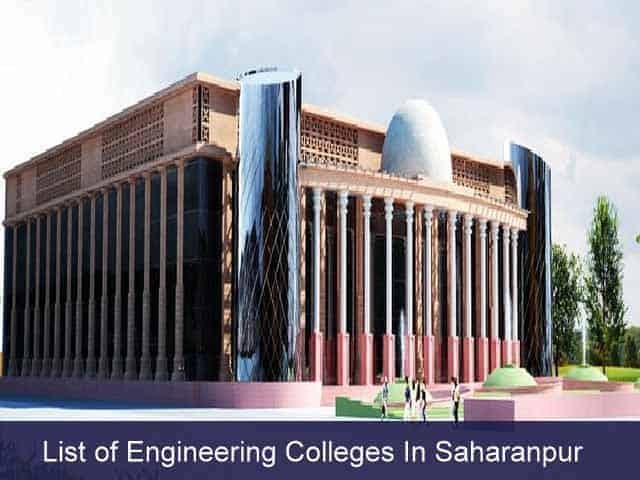 In this article, we are providing a complete list of engineering colleges in Saharanpur City. Candidates should know about these colleges as they will be called for colleges choice locking. All B.Tech, MBA, and other seats of these colleges will be filled through UPTU Counselling. Till then, check this colleges list out.